Where is the Wide Bay Burnett? We offer membership, information, advice and support to individuals and groups throughout the Wide Bay Burnett region. This covers the catchment and discharge areas of Baffle Creek, the Burnett, Burrum, Kolan and Mary Rivers, and associated coastal streams and coastline. The Wide Bay Burnett region includes six major catchments as well as Fraser Island, a total area of 566,618 sq kilometres. 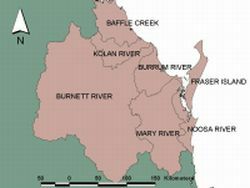 Of these catchments only the Noosa River and Fraser Island are relatively free from environmental degradation. The Burnett River has been ravaged by dam and weir construction, most recently the disastrous Paradise Dam. The four major coastal centres of the Wide Bay Burnett are Bundaberg, Gympie, Hervey Bay and Maryborough. Major inland centres are Gayndah and Kingaroy. Affiliated conservation groups in these centres include the Wildlife Preservation Society Bundaberg Branch, Wildlife Preservation Society Fraser Coast Branch, Fraser Island Defenders Organisation, Gympie and District Field Naturalists Club, Friends of the Burrum River, Citizens Helping Inskip Peninsula and the Noosa Parks Association. 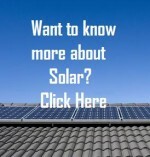 New member groups with compatible environmental aims are always welcome.